The Chimayó cocktail is a great autumn cocktail that is a signature New Mexico drink. It pairs tequila with the full-flavored taste of unfiltered apple cider, adding a hint of sweetness via crème de cassis. 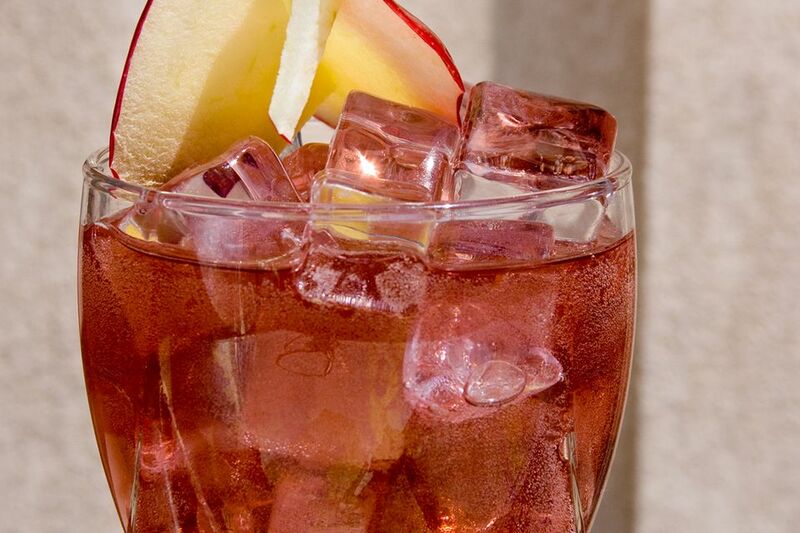 The story goes that Arutro Jaramillo created this drink in the 1960s to use up an abundance of apples. It was a popular drink of the Chimayó, New Mexico area and the drink to order at Rancho de Chimayó, the restaurant Jaramillo started there in his family's 19th-century hacienda. Chris Milligan, the Santa Fe Barman, says that the Chimayó remains a favorite cocktail of northern New Mexico and that Rancho de Chimayó is definitely a place you want to eat if you're in the area. He also notes that many bartenders in the Santa Fe area know the recipe and will make it for you if the cider is available at the time. It is a great tequila cocktail with a great story and, if you get the chance, be sure to taste one from the source and compare it to your own. In an old-fashioned glass filled with ice, build the ingredients. Typically, silver tequila is poured into the Chimayó, but this drink is also an excellent use for reposado tequilas. The hint of barrel aging will only enhance the cider. Unfiltered apple cider is essential for an authentic Chimayó experience because it offers a raw taste of the fruit. It's often only found in the fall around apple harvest. Look for it in the grocer's produce section and check with your local orchards to see if they offer it. If you cannot find it, any apple cider will do. One of the easiest ways to make your own apple cider is to wash, core, and slice a number of apples. Place these in a food processor and puree. Then press the puree through a cheesecloth to extract the juice. This can be stored in the refrigerator for about a week. Cut apples yellow very quickly once exposed to oxygen and do not look the best as a garnish. To stop the oxidation process, quickly dip the slices into a little lemon juice and shake off any excess. Give the Chimayó an extra kick by using hard apple cider. How Strong Is a Chimayó Cocktail? Neither too strong nor too light, the Chimayó is a perfectly balanced cocktail in terms of its alcohol content. It should mix up to a pleasant 17 percent ABV (34 proof), making it just slightly stronger than a glass of wine.